View basket “Around The Sun 25th Anniversary Card” has been added to your basket. 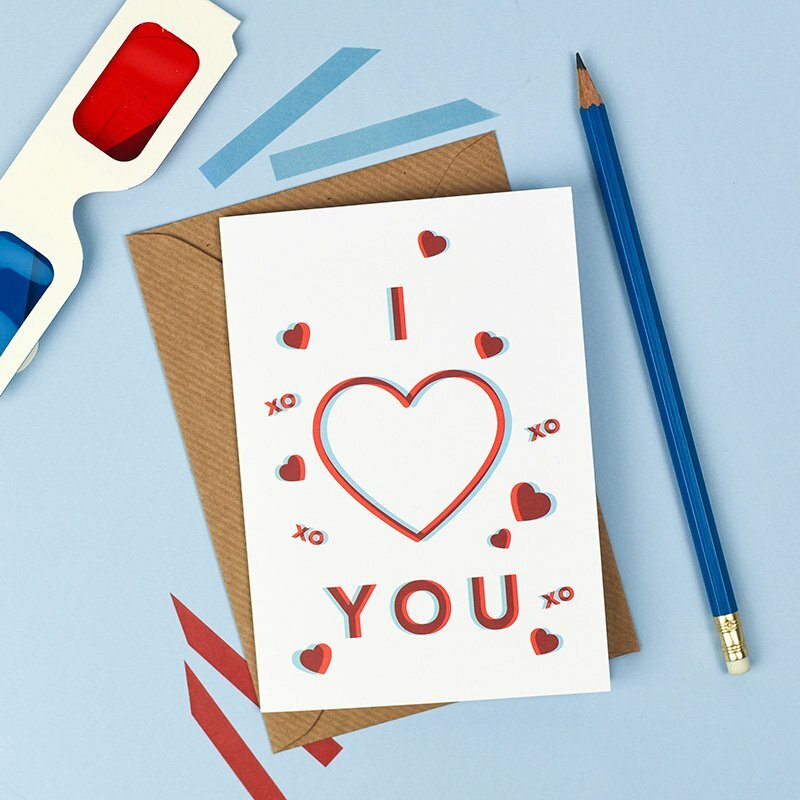 3D 'I Love You' card Unique anniversary or valentine's card (do you even need an occasion to say 'I love you'?!) sold with red and blue anaglyph glasses. The design pops when viewed through the 3D glasses! Blank inside for your own message. Unique 3D birthday card with retro 80's graphic of a birthday cake, candles and decorations. Sold with red and blue 3D anaglyph glasses to make the design pop! Blank inside for your own message. Unique 'happy new home' card with stylish house graphic and retro decoration. Sold with red and blue 3D anaglyph glasses to make the design pop! Blank inside for your own message. Retro robot birthday card sold with red and blue 3D anaglyph glasses to make the design pop! Popular for grown ups and children alike! Blank inside for your own message. Unique 'chin chin' card sold with red and blue 3D anaglyph glasses to make the design pop! For someone who loves retro designs and cocktails! Blank inside for your own message. Unique 3D 'hip hip hooray' card with diamond ring graphic. Sold with red and blue 3D anaglyph glasses to make the design pop! Blank inside for your own message. Unique 'supersonic' birthday card with a rocketship graphic. Sold with red and blue 3D anaglyph glasses to make the design pop! Appeals to grown ups and children alike! Blank inside for your own message. This unique card will make them feel better! Sold with red and blue 3D anaglyph glasses to make the design pop! Blank inside for your own message. A unique, extra special greeting card for someone special. List the 10 things you love about them and create a truly memorable card that they will likely keep for ever! Blank inside for your own message. A unique, extra special greeting card for someone special. List 10 memories you should cherish and create a truly memorable card that they will likely keep for ever! Blank inside for your own message. A unique, extra special greeting card for someone special. List 5 places you would like to visit together and create a truly memorable card that they will likely keep for ever! Blank inside for your own message. A unique, extra special greeting card for someone special. List 5 films you think they would love and create a truly memorable card that they will likely keep for ever! Blank inside for your own message.